La plupart des publications consacrées à l’art et à la culture inuit sont publiées en anglais. Il existe un très grande quantité d’ouvrages anglophones dont une sélection non exhaustive est ici proposée par thèmes. BOYD RYAN , Leslie, and Darlene COWARD WIGHT, 2007, Cape Dorset Prints : A Retrospective. 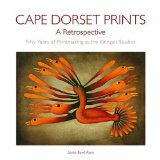 Fifty Years of Printmaking at the Kinngait Studio. San Francisco: Pomegranate Communications Inc.
COOK, Cynthia Waye (ed. ), 1993, From the centre: the drawings of Luke Anguhadluq. Toronto: Art Gallery of Ontario. COWARD-WIGHT, Darlene, (ed. ), 1991, The first passionate collector. The Ian Lindsay collection of inuit art./ Le premier collectionneur passionné. La collection d’art inuit Ian Lindsay. Winnipeg: Winnipeg Art Gallery. COWARD-WIGHT, Darlene, (ed. ), 2000, Art and expression of the Netsilik. Winnipeg: Winnipeg Art Gallery. COWARD-WIGHT, Darlene, 2006, Early masters: Inuit sculpture 1949-1955. Winnipeg: Winnipeg Art Gallery. 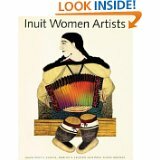 CRANDALL, Richard C., and Susan M. CRANDALL, 2007, Annotated bibliography of Inuit art. Jefferson [North Carolina] and London: Mc Farland & Company. GOETZ, Helga, 1977, The Inuit print/ L’estampe inuit. Ottawa: National Museum of Man. HESSEL, Ingo, 1998, Inuit Art: an Introduction. Vancouver: Douglas & McIntyre. BLODGETT, Jean, 1985, Kenojuak. Toronto: Firefly Books. EBER, Dorothy, and Peter PITSEOLAK, 1975, People from our side. An Eskimo life story in words and photographs. An inuit record of Seekooseelak – the land of the people of Cape Dorset, Baffin Island. Bloomington and London Indiana University Press. HESSEL, Ingo, (ed. ), 2010, Kananginaaq. Kananginak Pootoogook. Celebrating Five Decades of Artistic Achievement. Toronto: Museum of Inuit Art. LEROUX, Odette, Marion JACKSON, and Minnie A. FREEMAN, (ed. ), 1994, Inuit Women Artists, Voices from Cape Dorset. Hull: Canadian Museum of Civilizations. MITCHELL, Marybelle, (ed. ), 1984, Tivi Etook. Whispering in my ears and mingling with my dreams/Tivi Etook. Légendes susurrées à mes oreilles s’entremêlant à mes rêves. George River Ungava Bay : La Fédération des Coopératives du Nouveau-Québec. 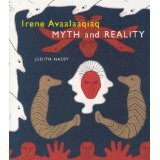 NASBY, Judith, 2002, Irene Avaalaaqiaq. Myth and Reality. Montréal: McGill-University Press. ROUTLEDGE, Marie, and Marion E. Jackson, 1990, Pudlo Pudlat : Thirty Years of Drawing. Ottawa: National Gallery of Canada. RYAN BOYD, Leslie, and Darlene COWARD WIGHT, (ed. ), 2004, Napachie Pootoogook. Winnipeg: The Winnipeg Art Gallery/Le Musée des Beaux-Arts de Winnipeg. WALK, Ansgar, (1999), Kenojuak : the life story of an inuit artist. Manotick [Ontario]: Penumbra Press. BENNETT, John, and Susan ROWLEY, 2004, Uqalurait. 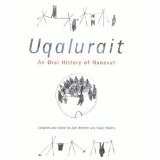 An oral history of Nunavut. Montréal: McGill-Quenn’s University Press. DORAIS, Louis-Jacques, 2010, Inuit uqausingit. The Language of the Inuit. Syntax, Semantics, and Society in the Arctic. Montreal & Kingston, London, Ithaca: McGill-Queen’s University Press. OOSTEN, Jarich, and Frédéric LAUGRAND, (ed. ), 2002, Inuit Qaujimajatuqangit: Shamanism and Reintegrating Wrongdoers into the Community. Volume 4. Iqaluit: Nunavut Arctic College. BOAS, Franz, 1888, The Central Eskimo, 6th Annual Report of the Bureau of American Ethnology for the Years 1884-1885. Washington et Lincoln: Smithsonian Institution-Bureau of Ethnology and University of Nebraska. RASMUSSEN, Knud, 1929, Intellectual Culture of the Iglulik Eskimos.Report of the Fifth Thule Expedition 1921-24. Volume VII (1). Copenhagen: Gyldendalske Boghandel, Nordisk Forlag. RASMUSSEN, Knud, 1930, Iglulik and Caribou Eskimo Texts. Report of the Fifth Thule Expedition 1921-24. Volume VII (3). Copenhague: Gyldendalske Boghandel, Nordisk Forlag. RASMUSSEN, Knud, 1931, The Netsilik Eskimos: Social Life and Spiritual Culture. Report of the Fifth Thule Expedition 1921-24. Volume VIII (1-2). Copenhague: Gyldendalske Boghandel. 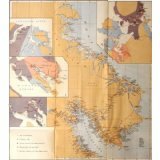 À ces références s’ajoutent l’ensemble des catalogues annuels d’estampes des communautés du Nunavut et du Nunavik (Canada), les articles des revues Inuit Art Quarterly et Études/Inuit/Studies, ainsi que les publications du Nunavut Arctic college, pour ne citer que celles-ci. N’éhistez pas à nous contacter si vous recherchez une référence précise. Au plaisir et bonne(s) lecture(s) !